Plumbing is a vital system we use daily but probably never realize how important it really is. We never give our plumbing system a second thought until we are inconvenienced by it not working. But did you know plumbing hasn’t always been in our homes and businesses? That is right, plumbing is modern convenience that is still lacking in some third world countries around the world. Today we will take a journey back in time and discover how we went from digging holes and walking miles for dirty water to being able to flush our waste away. Before we begin our journey, we must explain what plumbing is. 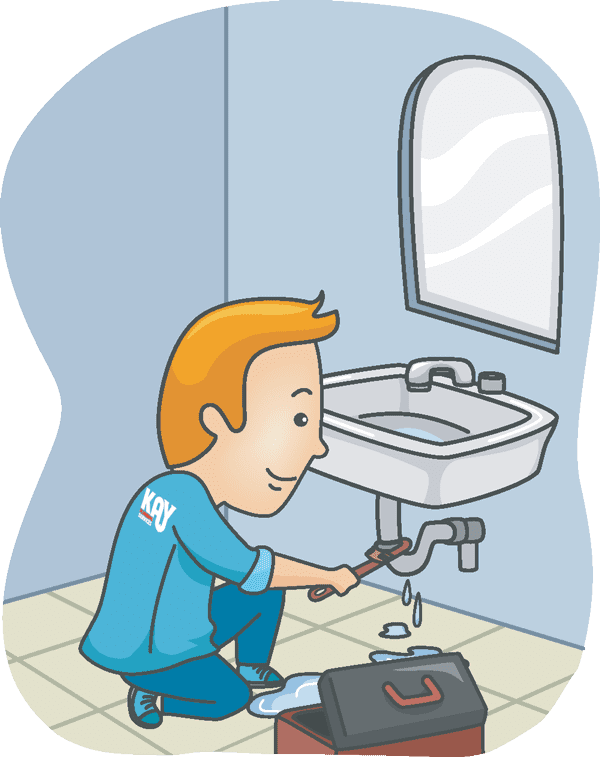 Per the Merriam-Webster dictionary, plumbing is: An internal system that resembles plumbing; especially: one consisting of conduits or channels for conveying fluids. Therefore, you will notice Master Plumbers can work on HVAC and Gas lines as well; they specialize in conveying fluids. Taking that definition, you will find the oldest forms of plumbing were developed thousands of years before Christ. You can find archaeological evidence of public baths in the cities of ancient Greece, Persia and China, where larger numbers of people lived together. Despite these finds, many people believe that plumbing as we know it today was introduced by Ancient Rome. The word Plumber came from ancient Rome, where the Latin word for lead “Plumbum”, was first used. The Romans were conquerors with large cities filled with lots of people. This gave them a huge need to remove their waste from their cities. At the time it was common for the wealthy to have chamber pots and throw the waste out of windows and the poor, well, they had to dig a hole. Living in tightly packed cities you could see were this would be a problem, so these conquerors become inventors and were the first to invent aqueducts, waste water removal and wide spread use of lead pipes. They were also some of the first to use latrines, as can still be seen in the Housestead’s Roman Fort on Hadrian’s Wall. It is explained that the roman soldiers sat on wooden boards with a hole in the middle. These holes allowed waste to be “emptied” in to one large trench dug beneath the latrine. The Romans had water running through the ditch to keep it “clean”, at the soldier’s feet. EW! As we all know, the Roman Empire fell and with it, went plumbing. For over 1,000 years the advancements in plumbing were stagnate. (Pun intended) No clean water or waste removal meant our cities stunk, as we went back to throwing our waste out the front door and allowing it to stay in the streets. This was the case until the 1700’s. Although the wealthy in some societies had access to iron pipes, these systems just took the waste to outside of their residences and dumped into the streets, local rivers or moats surrounding castles. Then in 1728 the first underground sewer was installed in the colony we know today, as New York. The reason this occurred was because the residents complained about the smell in open sewers. As America fought for its independence, it’s people became inventors and our buildings and cities became more modern. In the early days of the industrial revolution we also saw our buildings become death traps, as fire became a huge concern of the cities in early America. Then in 1830 we saw the first public water main be installed under the streets of, you guessed it, New York. This was followed by the invention of drainage pipes to take sewage away from buildings to a disposal terminal. Then in 1848 the United States congress passed the National Public Health Act, giving all communities access to water mains and drainage pipes. With clean water and proper disposal of waste, early America saw a decrease in diseases like Cholera, typhoid fever and dysentery. We were leaders in modern plumbing and the majority of the developed world followed our lead. As the Industrial Revolution lead to the Technological Revolution, starting around 1870, society saw so many advancements in knowledge, including the beginning of hot water. We at Kay Plumbing feel this is better saved for our next blog, Modernizing Plumbing, to be released in a few weeks. Until then, next time you turn on your shower or flush your toilet be thankful you weren’t borne 200 years ago. Could you image having to look out for sewage being flung from windows overhead, or piles left on your street right outside your front door. Take some time out and thank your local plumber today!